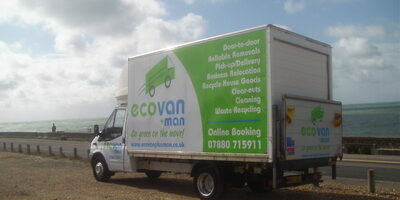 Man with Van Hire is a family run business with an understanding of household needs. Within our home removal services we are offer loft and garage clearances and hold registration as a Waste Carrier (CB/WE5800ZP - Eco Van). Our clearance services are available in Brighton & Hove , East and West Sussex. We have a range of recyclers and re-use networks which enables us to divert a large percentage of clearance goods from landfill. In addition we have strong links with local charities which supports the local community and can provide receipt/waste transfer notes.